'Foreign firms attacked' as Ethiopia protests continue – Satenaw Ethioopian News & Breaking News: Your right to know! Horn of Africa nation has seen months of protests during which rights groups say security forces have killed hundreds. Protesters in Ethiopia have attacked foreign businesses, according to the owners of a flower firm, as demonstrations in which rights groups say hundreds of people have been killed continued. The Dutch company said crowds of people in the Oromia and Amhara regions torched flower farms as they targeted businesses with perceived links to the government. Flowers are one of the country’s top exports. The Esmeralda Farms statement came after weeks of escalating protests that started among the Oromo, Ethiopia’s biggest ethnic group, and later spread to the Amhara, the second most populous group. Both groups of protesters are demanding more political and economic rights, and say that a ruling coalition is dominated by the Tigrayan ethnic group, which makes up about 6 percent of the population. According to the New York-based Human Rights Watch group, security forces have killed at least 500 people since the unrest began in November and thousands of people have been arrested. The government has denied that violence from the security forces is “systemic” and pledged to launch an independent investigation, blaming opposition groups inside and outside of the country and what it called “anti-peace” elements for the chaos. Esmeralda Farms said its 10 million euro ($11.1m) investment went up in smoke this week in Bahir Dar city and that several other horticulture companies were also affected. Remco Bergkamp, assistant manager at Esmeralda Farms in the Netherlands, told Al Jazeera that the company would probably leave Ethiopia, rather than rebuild the farm. “The situation is not stable enough to run a business. You just don’t know where the country is headed,” Bergkamp told Al Jazeera. Ethiopia has seen sustained economic growth in recent years and the government has been keen to attract foreign investors, often offering attractive incentives to firms who want to do business there. Government opponents, though, say the country’s poorest have seen little benefit from the investment. “The government sent security forces to protect the farm. Eventually the group of protesters grew so large that the soldiers were forced to flee and the property was torched,” Bergkamp said. 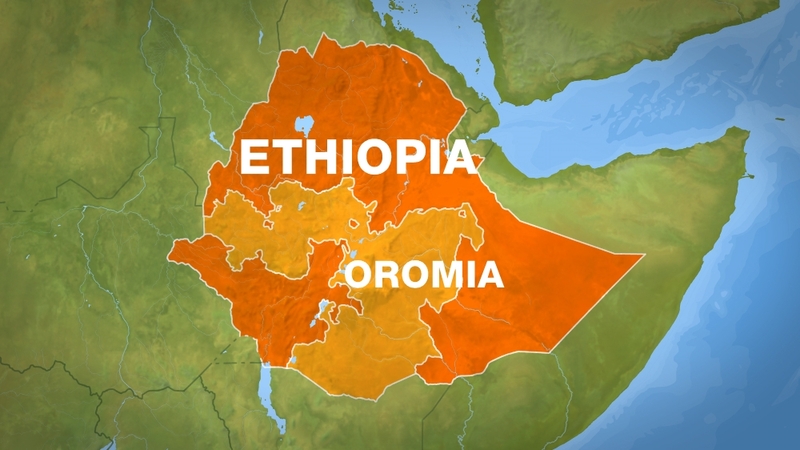 Protests in Oromia started in November last year when the government announced a plan to expand the capital – a city state – into the surrounding Oromia region. Many Oromos saw that as a plan to remove them from fertile land. The scheme has since been dropped but the unrest spread as demonstrators called for the release of prisoners and for wider freedoms. In the Amhara region, demonstrations began over the status of a district – Wolkait – that was once part of Amhara but was incorporated into the neighbouring Tigrayan region more than 20 years ago. Those demonstrations have also since widened. The governing Ethiopian People’s Revolutonary Democratic Front last month rejected a United Nations request that it send in observers, saying it alone was responsible for the security of its citizens. The government, a close security ally of the West, is often accused of silencing dissent, even blocking internet access at times. At elections last year, it won every seat in the 547-seat parliament. Are any policy changes visible in Eritrea? Can an EU resumption of aid bring these about?